Long live the dead… a zombie love affair? 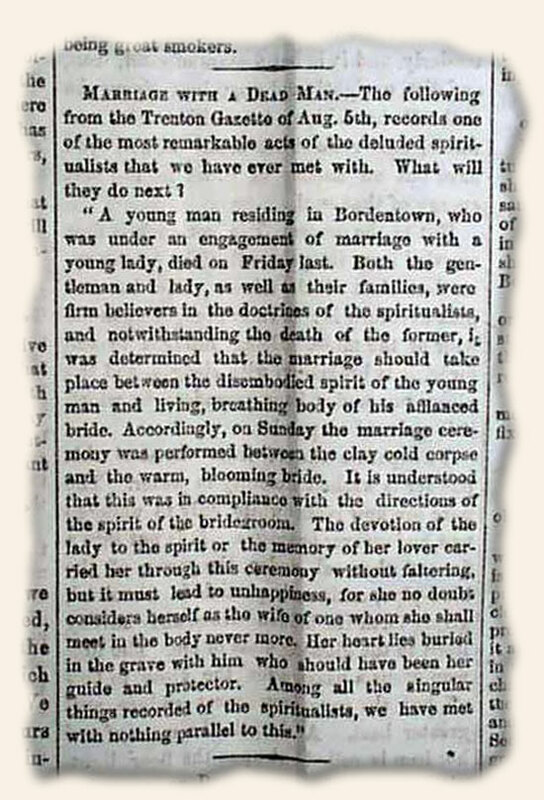 The New-York Observer (August 14, 1856) has a report which seems right out of a Hollywood Halloween-Thriller script (or crypt?). Was this a bogus story? Perhaps the blockbuster “Ghost” (1990) wasn’t fiction after all. I’ll save the “being married to a dead-beat” jokes for another post.